Police in Pennsylvania are reminding drivers to clean the snow off the roof of your car otherwise it may cost you. The West Whiteland Township Police Department posted to their Facebook page the text of the Pennsylvania Statutes Title 75 section 3720 - "Snow and ice dislodged or falling from moving vehicle." It reads: "When snow or ice is dislodged or falls from a moving vehicle and strikes another vehicle or pedestrian causing death or serious bodily injury, the operator of the vehicle from which the snow or ice is dislodged or falls shall be subject to a fine of not less than $200 nor more than $1,000 for each offense." 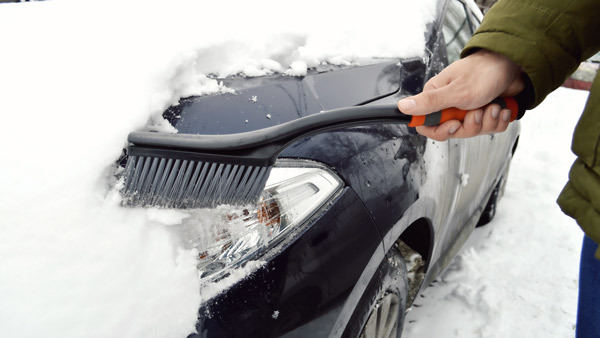 The Upper Macungie Police tweeted, "Please clean the snow off your car. This can be very dangerous." Police are hoping not only will these warnings save drivers some money, but also help save lives.